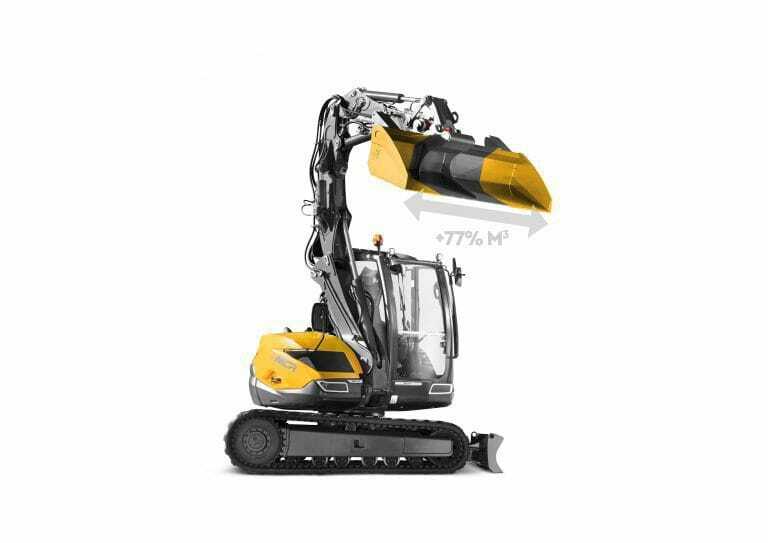 One of several machines showcased at the Bauma show this week in Munich, Germany, the 8MCR model can use up to a 0.69 cubic yard maximum bucket, or the bucket size of a 12-metric-ton excavator. 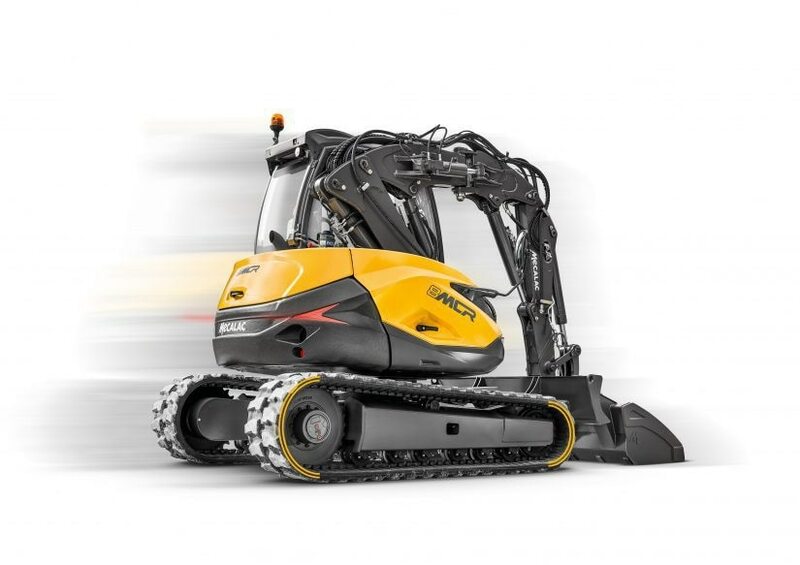 The 10MCR is capable of handling a 0.98 cubic yard bucket, which Mecalac says means the model can move up to 77 percent more when compared to standard same-size excavators. Loader buckets, in addition, allow users to spread material or fine grade ground level in one pass only without the need to swing or move the boom, according to Mecalac. This, in turn, reduces total cycle time.The 8MCR has a total swing radius of 8 feet 10 inches, which equals the total radius of a 2-metric-ton excavator. 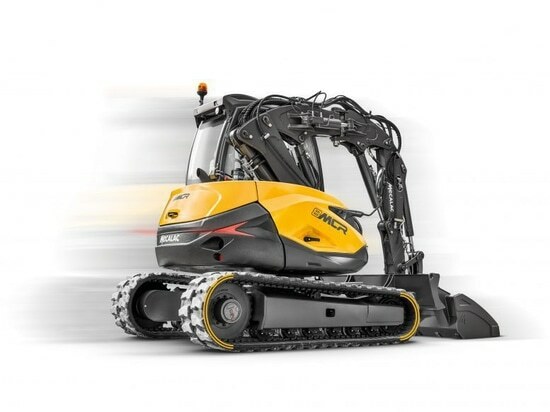 The MCR line up offers a “true 36-degree compact excavator, not only to the rear, but also to the front,” says the company. 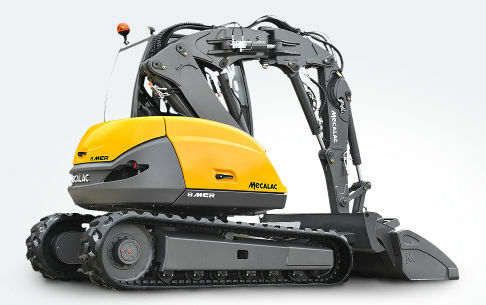 “It makes no sense to have a compact rear radius if the front is not and does not let you swing into tight areas,” Mecalac says.